LIVERPOOL captain Jordan Henderson admits it was crucial they found a way to beat Crystal Palace and maintain the pace in the title race despite not being at their best. Having conceded just ten goals in 22 Premier League matches, Liverpool uncharacteristically shipped three at home to Crystal Palace in a chaotic 4-3 victory. It was the first time Jurgen Klopp’s side had conceded three in a league match since victory over Manchester City by the same scoreline a year ago. 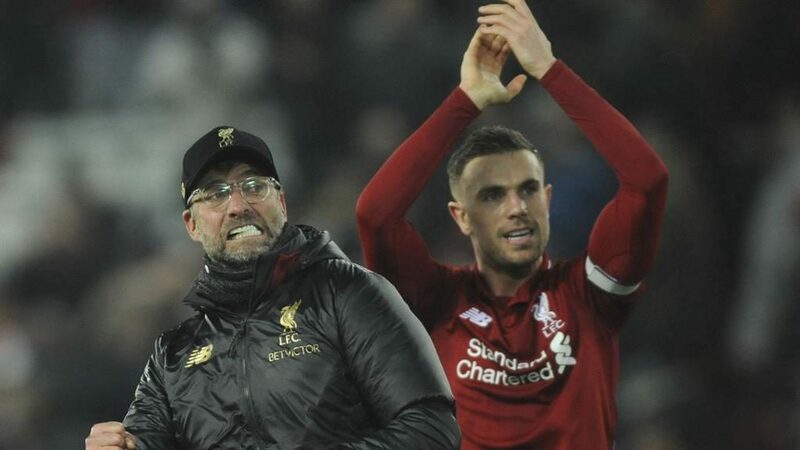 While Henderson (pictured with Klopp after the final whistle) was not happy with the performance, he accepted the result — that temporarily extended their lead at the top to seven points — was the priority. ‘Every game is massive. It’s an important three points again,’ he said. ‘You’re not going to play as well as you’d like in every single game so when you’re not flying or playing as well as you can, it’s important to find a way to win and keep going right until the end, and we managed to do that. ‘We’ll analyse the game to see what we didn’t do as well but, overall, we’ve got to be delighted again with the result.